In this tutorial we want to create rays of light coming from a window. I've made a small room with a window which we will soon have rays of light coming from. You will need to build brushes coming from the window that will serve as your light rays. However you want the light rays to appear build these bushes accordingly. Apply this texture (or a similar one) to your 'light ray' brushes. Now there are a few things to change on the 'light ray' brushes themselves. 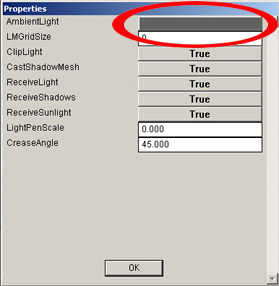 Select all the brushes that make up your 'light rays' and go to their properties. Add 'DustBeams.tfg' to the texture effect. Notice in the brushes properties there is also a button labeled 'LightControl'. Open the LightControl properties. Change the AmbientLight from black to a medium grey. This will help illuminate these brushes giving them a more 'light' appearance. 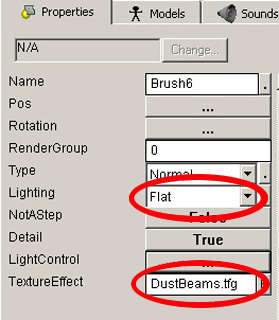 Now make sure all 'light ray' brushes' are selected and bind them to a WorldModel. 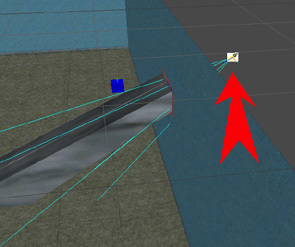 In the WorldModel's properties change BlendMode to 'Translucent' and set Alpha to 0.050. This will of course give your 'light rays' a translucent appearance. You may want to experiment with the Alpha. 1.000 is opaque while lesser values produce more transparency. Create a DirLight out side of your window. This will further illuminate you 'light ray' brushes as well as spill some light onto the floor. 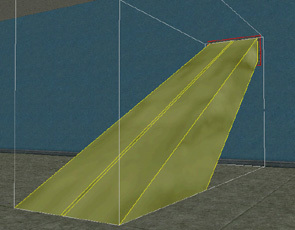 Try to adjust you DirLight so that it follows and is consistent with you 'light ray' brushes. In closing you may want to include additional lighting for realism to fit your screen. 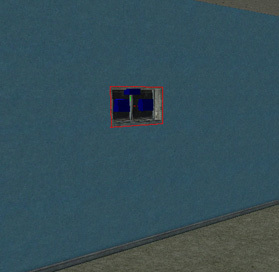 For example i have included a Light here to try to brighten the area at the window. Experimentation is the key to successful lighting.